⬅ To Boycott or Not to Boycott? It’s an interesting time to be a university president. Not a week goes by that someone doesn’t raise a new expectation of what universities can or should be doing. Often, this expectation comes in the form of criticism. Sometimes, it arrives as a recommendation about improving a process. Taken collectively, the various tasks and expectations now being dropped on higher education administrators are often highly unrealistic, frequently mutually exclusive, and ultimately are doomed to fail. It’s time for a little straight talk. Let me start by acknowledging two things. First, higher education in the United States has, at least for the last 150 years, been more responsible than any other component of our society for the American success story – both as a country and as the ladder to individual prosperity and accomplishment. We should therefore be wary of radical changes to a proven track record. Second, and despite what I have just said, higher education is overdue for some serious reform. Higher education has become complacent over the past 40 years. We have allowed our focus to wander, from the standpoint of our core mission, and we have been painfully slow to integrate both technology and new knowledge about the learning process into our instructional protocols. We have worried too little about the cost of higher education for our students and their families, and too little about how most of our students plan to use their education: to get a well-paying job. 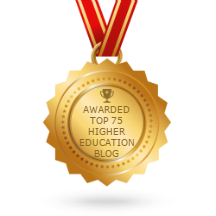 At least some of the criticisms that have been directed at higher education are well deserved, and at least some colleges and universities are now addressing them in meaningful ways. But these positive responses by universities have been overwhelmed by the blizzard of expectations and criticisms in the media and on blogs that continue unabated, and now seem to be growing in both number and volume. So sarcasm aside, what reasonably can (and should) higher education actually do? See Part 2, coming next week.